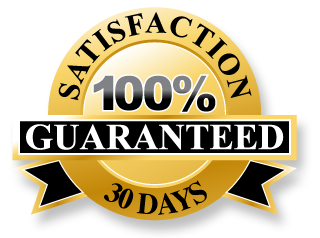 Our Guarantee is very Simple. If you see an insect well fix it for free. We offer a no insect guarantee! If any insects show up within one month after treatment, we will come back and apply another treatment for free. If you are signed up for quarterly treatments and you see an insect at any point in time we will come back and apply another treatment free of charge at any time. We won't hassle you about how or when. We will come back down, do another inspection for free, then treat you for the pest that wriggled through. Please note that the original treatment takes approximately 14 days for the chemical to take full effect, so please be patient. Our techniques plus the best chemicals equal amazing results. We rarely ever see an insect after that 14 day timeline. You can be confident that our treatments will work! We are highly experienced at handling every kind of pest. So we are confident we can rid you of your pest problem. Owner is onsite for every treatment. You can trust that your Office or Home is safe and in good hands.